Asian environmentalism pioneer Chandran Nair says Western consumerism in the developing East will spark irreversible climate impacts. His new book Consumptionomics: Asia’s Role in Reshaping Capitalism and Saving the Planet warns Asians that they’ll have to settle for less. That’s a silver bullet into the heart of notion of global economic rebalancing, which says Asians need to consume more Western exports to ensure long term growth and stability. My review of Consumptionomics applauds Nair for adding some welcome common sense to the climate change debate, savaging silly ideas on all sides. He derides the notion that markets can deal with environmental destruction largely caused by market failure. As the founder of corporate environmental consultant ERM, Nair is well placed to debunk this argument against government action to regulate resource exploitation. Nair also gores a sacred cow of the environmental movement and the UN known as climate justice – developing countries must have the same right to pollute as the developed countries had. That’s sounds fair but it’s deadly for the planet, my Asia Times book review notes. The solutions proposed in Consumptionomics may not live up to these standards, perhaps proving that no book can have it all, either. But Nair is a voice of reason in a discussion that lacks them. 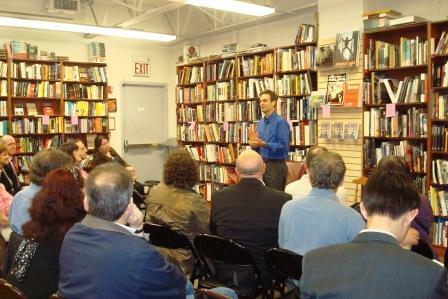 Sincerest appreciation to all who helped make the New York event for Hong Kong On Air at BookCulture on May 6 a success. Special thanks to all who attended. Literary figures in the crowd included Leonard Levitt, author of police blog NYPDConfidential.com and NYPD Confidential, the book ; Tracy Quan, author of Diary of a Jetsetting Call Girl and Diary of a Manhattan Call Girl ; and In the Third Decade blogger Silver Erieann. See photos of the event on the Muhammad Cohen Facebook page. Special thanks to BookCulture and its staff for graciously hosting the event. BookCulture is a fabulous independent bookstore that caters to Columbia University and the surrounding community’s varied needs. (A chamber music group followed Hong Kong On Air .) Perhaps the good news in the Borders bankruptcy is that there’s room for independent bookstores in the marketplace. BookCulture also carries media significance: it’s down the block from Tom’s Restaurant, used as the exterior shot for Monk’s Diner in Seinfeld. However, Tom’s was first made famous by my friend Jami Bernard for its bent – not grilled – cheese sandwiches. We chose Mel’s Burger Bar for the after-party. Native New Yorker in exile Muhammad Cohen’s engaging, often hilarious novel captures the mood ahead of the 1997 handover when Hong Kong reigned as the centre of the universe, a multicultural melting pot bubbling with pure gold. As the Asian crisis abruptly ends the party, mainland China emerges, eclipsing Hong Kong. For everyone whose job or business falls under China’s lengthening economic shadow, Hong Kong On Air presents a fresh angle on how it all began. For media watchers, Hong Kong On Air broadcasts the backstage secrets of television news, how and why some events become headlines and others die gasping for air time. During Hong Kong’s pre-handover boom, Franklin Global Networks Asia (Fuggin’ Asia) becomes a hit, a star is born, and mistakes are easy to overlook. But the economic crisis ripens relationships for treachery, creates opportunities for revenge, and moves China center stage, triggering a great leap forward for some, a long march to failure for others. Learn more about the book at www.hongkongonair.com and about the author and his writing at www.muhammadcohen.com. Whether you can be there or not, please spread the word. Attending the event earns a ticket to the exclusive afterparty. Seinfeld fans note BookCulture is a half-block from Tom’s Restaurant, the exterior shot used as Monk’s Diner on the show. Writer and Barnard graduate Jami Bernard made Tom’s (in)famous first for its bent cheese – rather than grilled cheese – sandwiches. 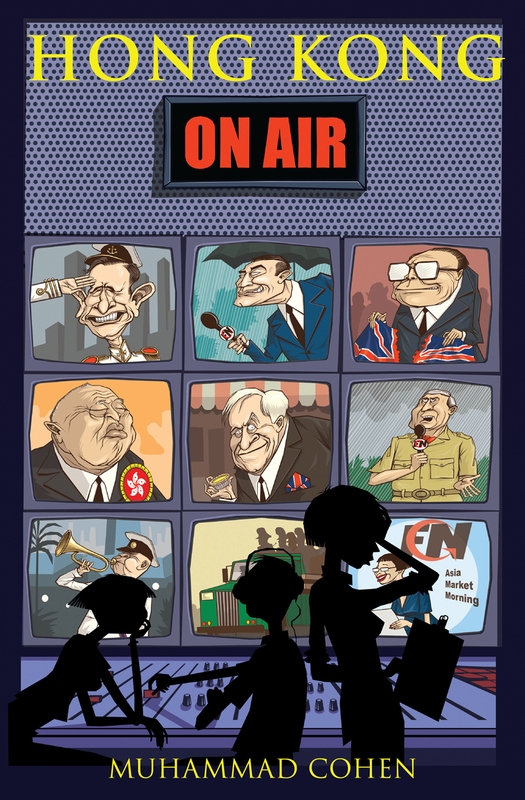 You are currently browsing the Muhammad Cohen on media and more blog archives for May, 2011.